Try a new activity, enjoy an adventure, have fun doing it together! 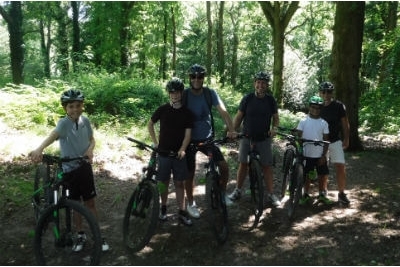 Our dads and kids outdoor activity weekends are perfect for spending some quality time together - just think of the great memories you and your children will have for years to come. Why not invite friends and their kids as well for double the fun! The Forest of Dean and Wye Valley is the perfect place to escape the normal 9-5 routine. 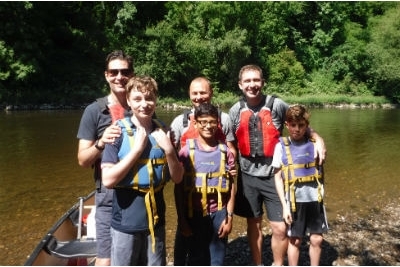 Surrounded by beautiful scenery, enjoying being outside in the fresh air, experiencing the thrill of physical activity, maybe even discovering something new and awesome about your children - a weekend with Inspire2Adventure will be a special time indeed! If you're coming from afar, we are very lucky to have a whole host of accommodation in the area, including some great campsites for even more of an adventure! Do take a look at our personal recommendations for places to stay. To book your weekend away with the kids or to find out more about what we offer, please call us on 01600 891515 or email us.